Written by: Pierre Fricke Copywrite 2005 797 pages. Color pictures of all 72 types of Confederate Currency. 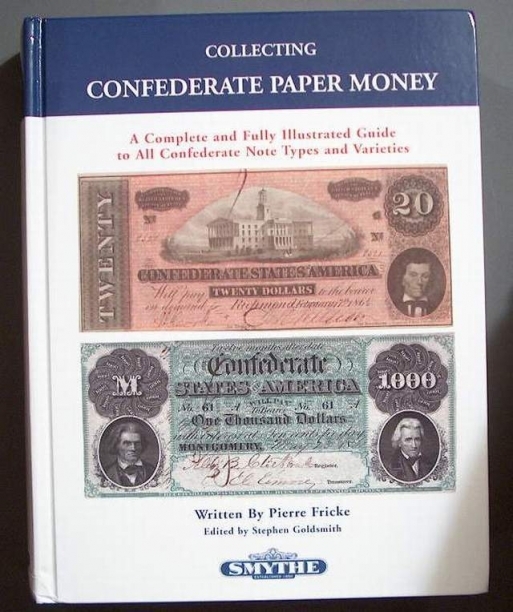 Absolute must for the true collector of Confederate Bills.